Gay City News, 2003, quoted by After Ellen: "I wanted a reason to help me come out. And this book became a reason and that allows me to do it 1,000 percent. I'm perfectly happy going on TV now and saying, I'm a gay man. I'm happy and proud to say that." 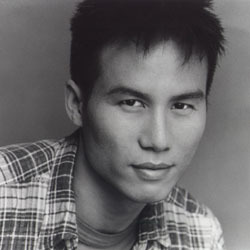 See also Christopher Stone, "B. D. Wong: Out Author, Actor and Parent", After Ellen, 16 November 2005.